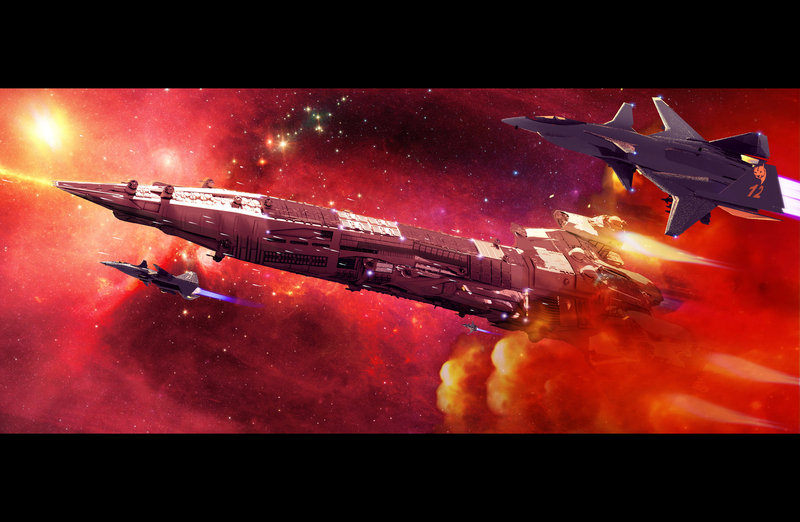 Assault battle cruiser and air-space-craft carrier. Mother-ship-carrier project. For the THRUST competition.